What’s happening this April? Principal blog. New seminar – Vaccination – an informed look. 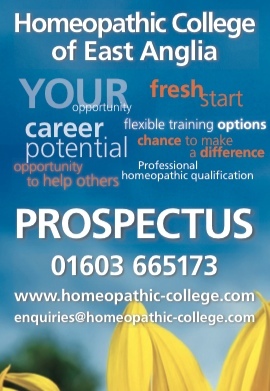 This is your opportunity to become a Professional Homeopath – make a real difference to people’s health and wellbeing! The Homeopathic College of East Anglia will give you the benefit of gaining professional status whilst helping yourself, your family and future patients to enjoy better health. Discover the vast benefit to you of flexible part time study for your new career in Homeopathy. 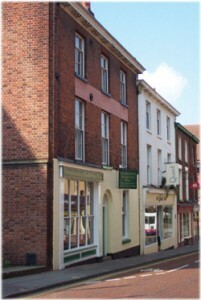 We are a vibrant professional College established since 2002 within beautifully restored building conveniently situated in the centre of the historical Norman City of Norwich. Join us for ten weekends per year, which will easily fit around your family and present life style commitments, whilst bringing you a new career with flexible working hours, a better standard of living and allowing you to help others. Whilst enjoying the amazing discovery of the huge potential of homeopathic remedies we also teach you about good nutrition. Good nutrition and a healthy life style are fundamental to a healthy body. We combine the teaching of these subjects with herbal remedies, supplement knowledge and an introduction to a range of other complementary therapies to ensure our graduates are best placed to provide an excellent service for their patients. Medical sciences is presented with a fun and innovative approach to ensure this subject comes alive enabling our students to understand the fascinating workings of the human body and understand the unfortunate implications when things go wrong! Our college welcomes applications from every walk of life. We offer you a fantastic opportunity to make new friends whilst enjoying the common aim of creating a caring professional homeopathic practice. Our intention is to provide a friendly, supportive learning environment where our graduates develop the qualities necessary for a successful Homeopathic patient practice.